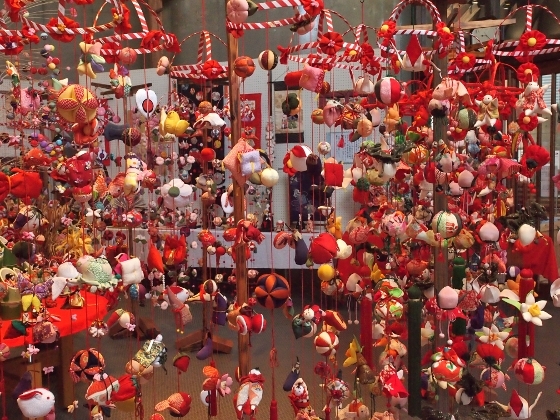 Traditional ‘tsurushibina’ or hanging decorations for girls’ festival are being publicly displayed at some of the locations in Fukushima in this time of year. Hanawa Town is one of them. 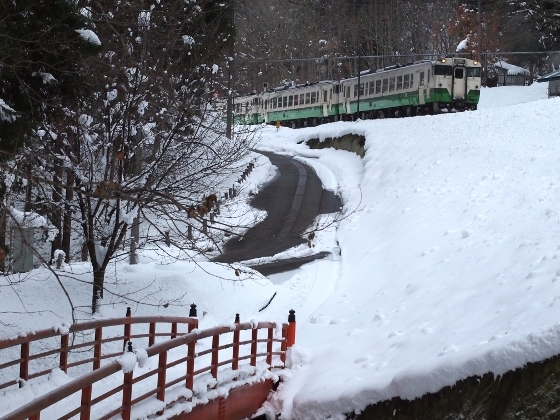 Photo above shows tsurushibina exhibition at Community Plaza inside the Iwakihanawa Station building of JR Suigun Line. 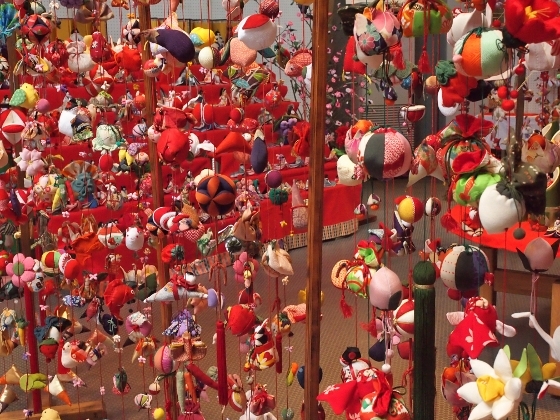 Each of the hanging pieces was made by handicraft quilting using scrap cloth. A group of local women volunteers called ‘Quiltmate Hanawa’ made all of these. 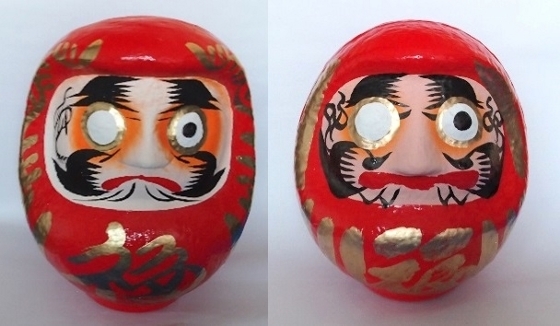 Actually this tradition had spread across Japan in late Edo Period and was passed down to this day. Photo above was taken from a different angle and you can see the whole hanging structure from above. 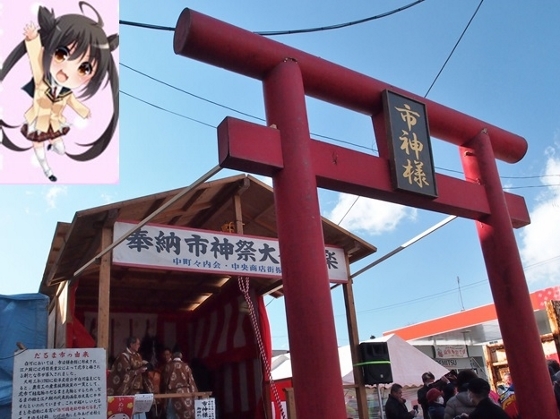 This exhibit continues through March 3rd which is the girls’ festival day. 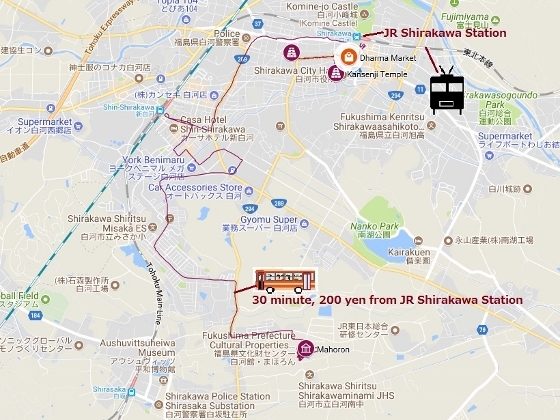 JR Iwakihanawa Station is about 1.5hr train ride from Koriyama. 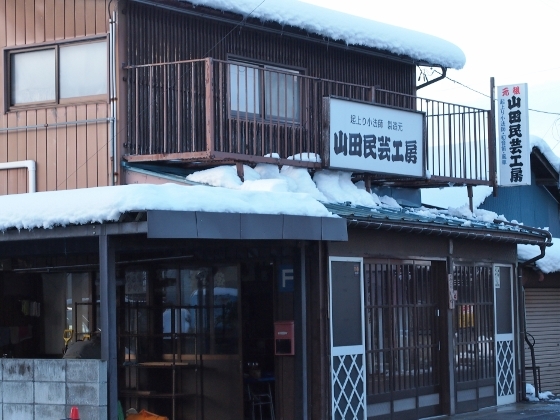 Today was February 11, 2018, Shirakawa Dharma Dolls Market Day! People crowded at the venue to buy this year’s new Dharma dolls. 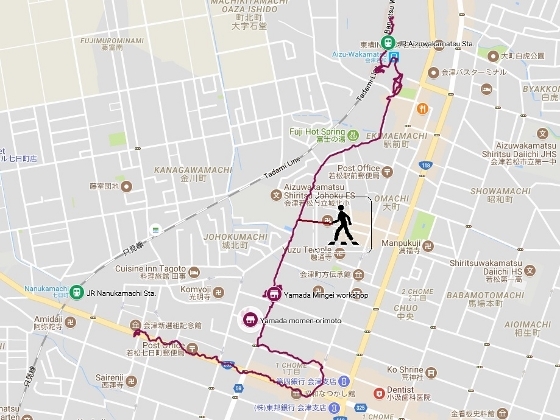 The venue was along the main street close to JR Shirakawa Station. 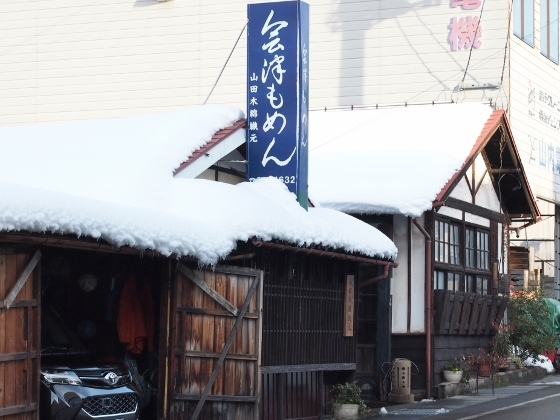 The street was part of an old highway “Oshukaido” from Edo Period about 400 years ago. 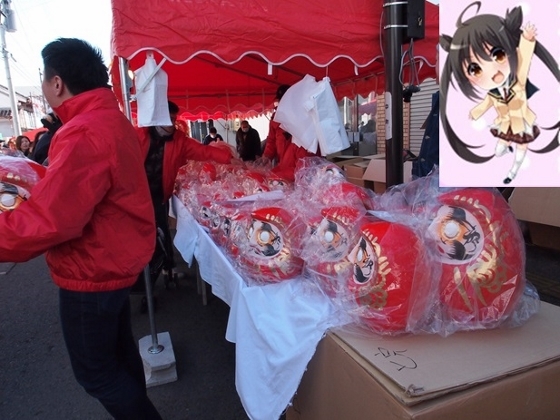 The market as you see in the photo above started about 100 years ago in Meiji Period. In recent years, the market has been held on February 11th (National Foundation Day) of every year. 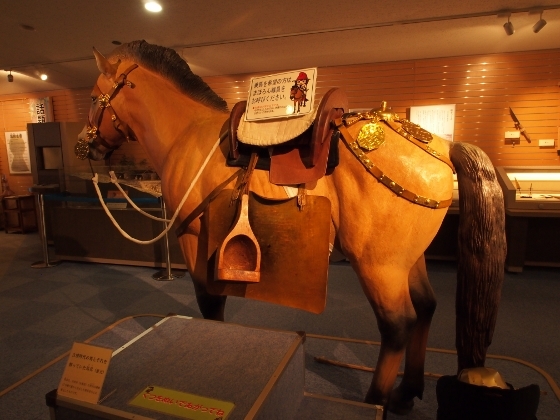 A god of the market called “Ichigamisama” was enshrined at a shrine in the center of the market as shown above. 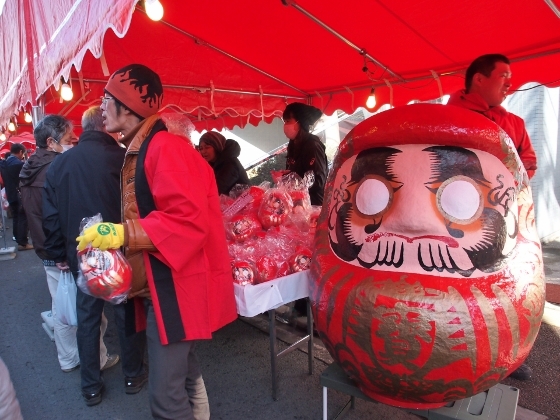 Shirakawa City’s local manga character “Komine shiro” on the upper left was also cheering up the market. Another similar sales stand is shown above. There were about 30 of these shops as well as many other food stands. These are the Dharma dolls I purchased today. The left one is from Watanabe Dharma Workshop, and the right one is from Sagawa Dharma Workshop. These are the two main workshops in the city today. The design is different but the common feature is that both include crane, turtle, pine tree, bamboo, and ume blossoms as symbols of good luck and longevity. I stopped at some of the historic heritage in the city. 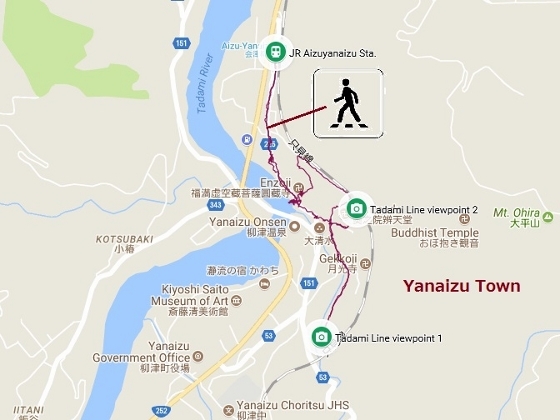 One was Kansenji Temple as shown above, located a few minute walk from the marketplace. 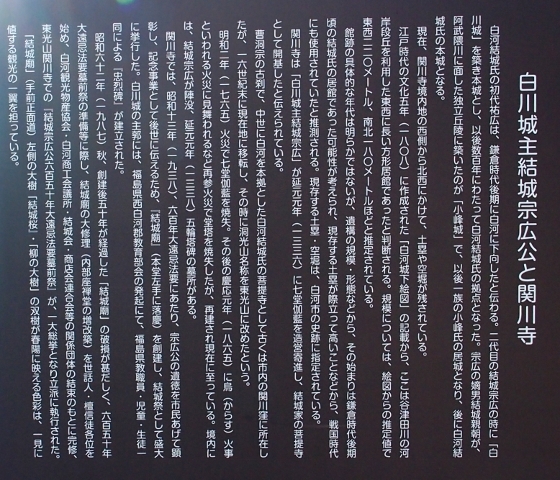 A description in Japanese was at the site, as shown in the middle picture above. 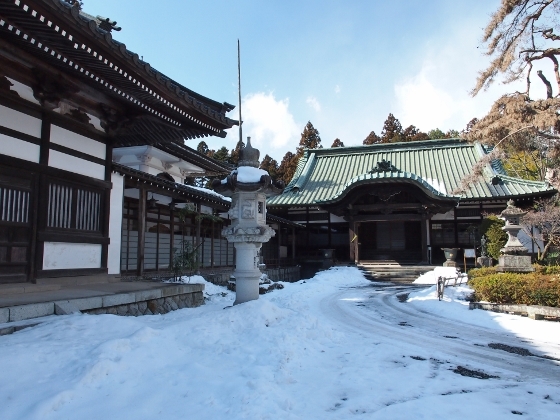 The temple was first built in 1336 by a Shirakawa lord Yuki Munehiro at the time. His statue was placed in the precinct as shown above. 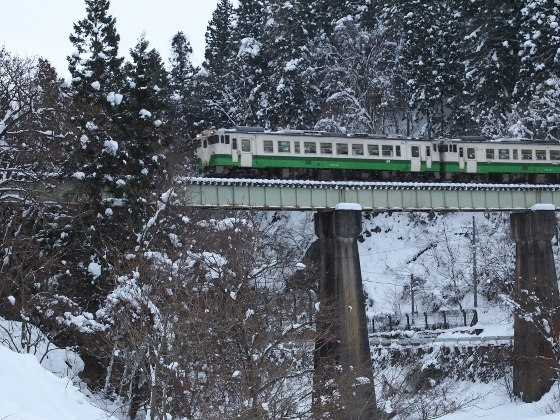 The Yuki family controlled the Shirakawa area for about 400 years between 12th and 16th century. 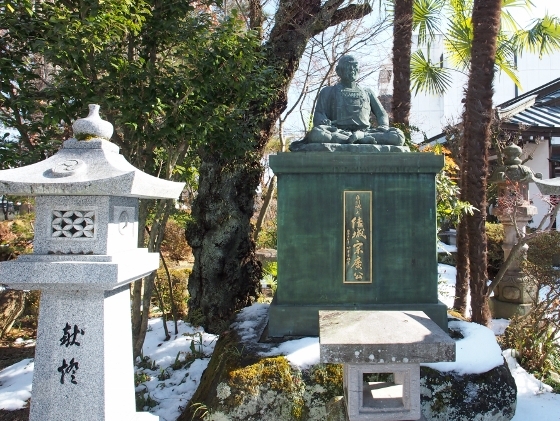 Next, I stopped at Shohoji Temple as shown above. 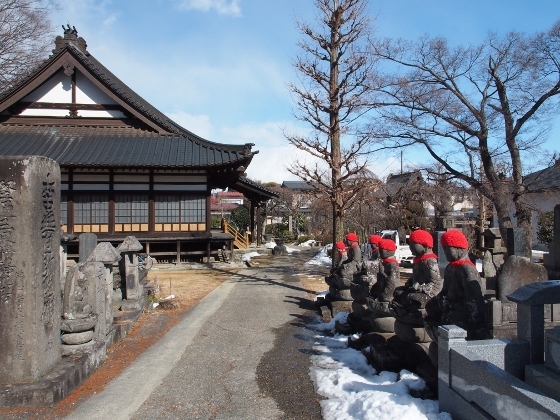 The temple was first built around the middle of 14th century by Yuki Chikatomo who was a son of Munehiro, for the memorial of his father. 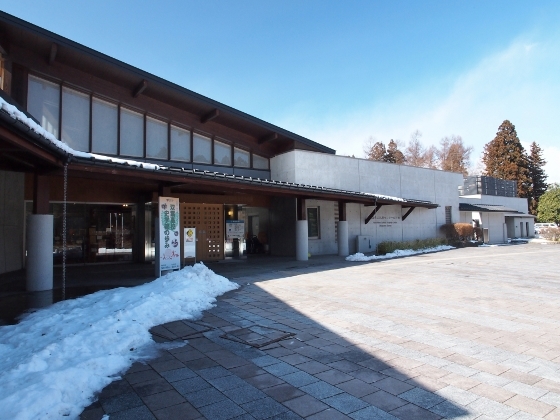 In the afternoon, I visited Mahoron as shown above, which was a Fukushima Prefecture Cultural Assets Center. 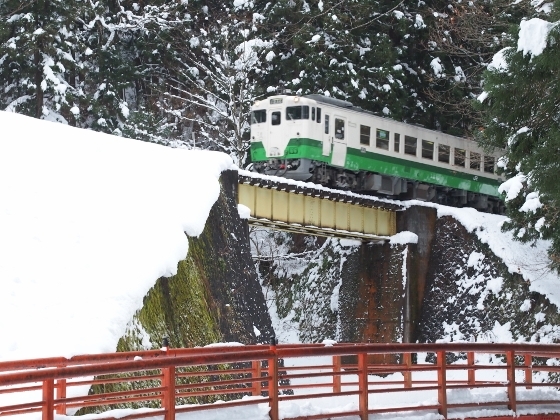 This was located just south of Shirakawa city center, where ancient Paleolithic remains, Ichiridan A site, were excavated. 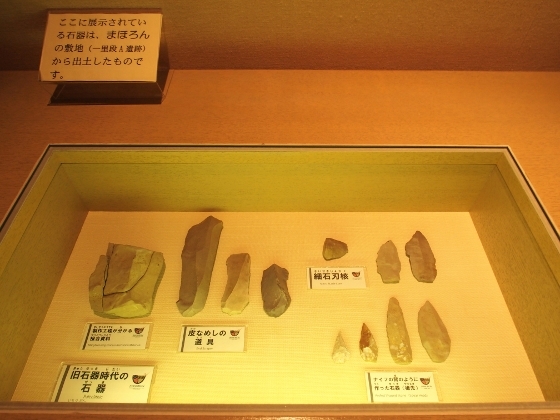 Some of the ancient stone tools unearthed from Ichiridan A site were displayed as shown above. 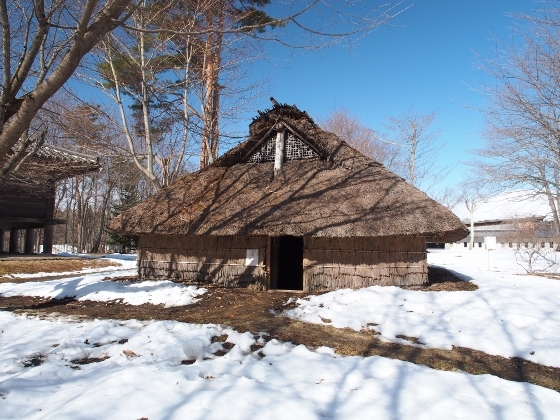 Within the area of the facility, an old house from Nara Period, some 1300 years ago, was restored as shown above. A set of restored harnesses found at Zaruuchi Tumuli site from 7th century, are also displayed in the facility as shown above.